WILMINGTON, Del. (AP) - A Delaware animal rescue official says a bald eagle has died of reported lead poisoning and another eagle is being treated for injuries sustained in a snare trap. The executive director of Tri-State Bird Rescue & Research Inc., Lisa Smith, says these types of injuries and deaths are preventable. She says the poisoned eagle was found severely emaciated in Sussex County and was likely poisoned by eating a carcass tainted by lead ammunition or fragments. Smith says lead poisoning accounts for about a dozen bird rescues each year, but many more fall sick and die in the wild. She says another bald eagle, technically the first rescued bald eagle of 2019, is being rehabilitated by experts at Tri-State Bird Rescue & Research Inc. after its wing was cut by a snare trap in New Jersey. Tri-State tried to save five bald eagles near Dagsboro nearly three years ago, after the eagles showed signs of poisoning. 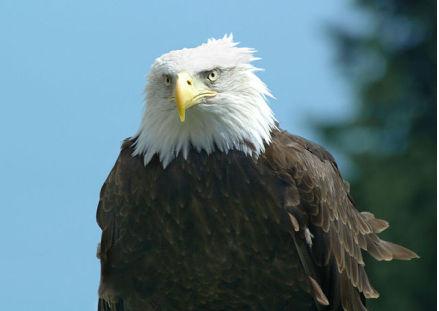 Shortly before that, 13 bald eagles were found dead in Federalsburg. Federal officials blamed those deaths on the banned pesticide carbofuran. Tri-State Bird Rescue & Research Inc.